Founded on our agricultural experience and expertise, Canada has the opportunity to take a leading role in improving the lives of the poorest and most vulnerable, wherever they are, and driving achievement of a significant number of the goals outlined in the UN’s 2030 Agenda for Sustainable Development. 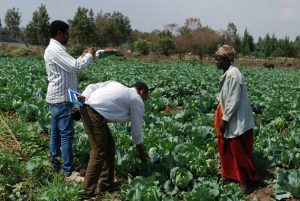 The Government of Canada-funded Market-Led Improved Livelihoods in Eastern Amhara Region project (Ethiopia) is increasing agricultural productivity and improving livelihoods for 40,000 smallholder farmers, delivered through an alliance between Canadian Feed The Children and local partners in Ethiopia. Many of the challenges developing countries face can be addressed with appropriate investments in small-scale farming: empowerment of women, sustainable economic growth, adaptation to climate change and improvements in health. In many ways, Canada is the natural choice to lead these investments. Canada has a diverse and innovative farm sector that has successfully overcome a harsh climate to become an agricultural powerhouse. This includes sectors such as grain, oilseeds and livestock with huge export sales. It also includes lesser-known success stories based on innovative practices such as community supported agriculture, where farmers partner directly with urban consumers to grow high-quality local food. Other areas where Canada’s unique expertise may have global relevance include crop breeding, agricultural co-operatives, conservation farming and horticultural production in protected structures. Canada has universities with expertise in global agriculture, drawing students from around the world, conducting research in many countries, and sending graduates far and wide. Together with IDRC (International Development Research Centre), these universities have built Canada’s reputation for strong research and problem-solving capacity in agriculture. We have excelled at cross-sectoral research that has brought together diverse disciplines to solve real-world problems. 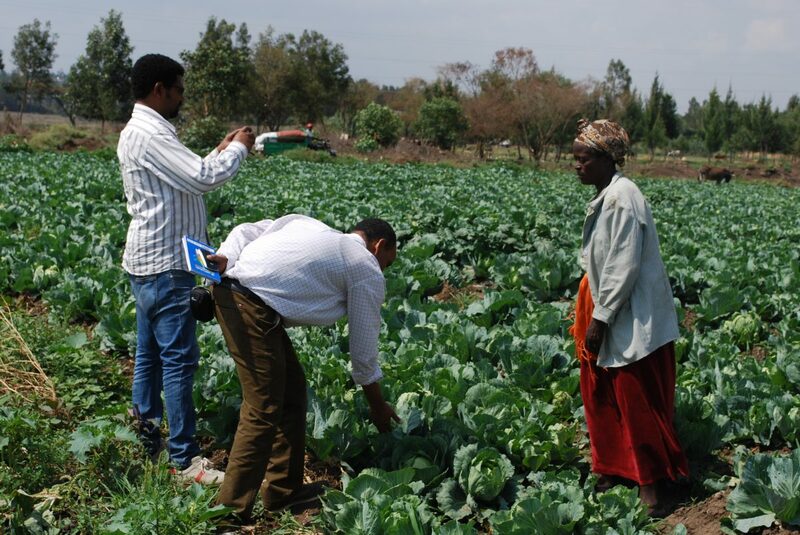 In addition to universities, many Canadian organizations, including volunteer-sending organizations, are engaged in agricultural development work overseas. Their work contributes to Canada’s social capital throughout the world, enhancing our reputation and influence. Chronic poverty and loss of livelihoods due to climate change can be triggers for social unrest and amplify risk in already-fragile situations. In contrast, investments in farming can lead to improved livelihoods with far-reaching benefits: prosperity, peace and stability locally, and reduced likelihood of disease, refugees and conflict moving across international borders. Investments in international agricultural development could lead to business and trade benefits for Canada. With public investment in improved infrastructure in place, private investment by Canadian companies would follow. Enhanced prosperity in developing countries would help create markets for Canadian goods and services. A signature investment in agriculture has the potential to engage a broad range of Canadians, many of whom have already expressed support for the Aid4Ag initiative. More than 35 leading international development organizations and 10 prominent academics have joined together to urge the Canadian government to invest $2.5 billion in agricultural development over the next five years as part of a growing aid budget. This would demonstrate Canada’s leadership in meeting several of the Sustainable Development Goals, and would also deliver short and long-term benefits for Canadians. This policy brief has been prepared by the Aid4Ag coalition, a network of leading international development organizations and academics. Learn more at aid4ag.ca.